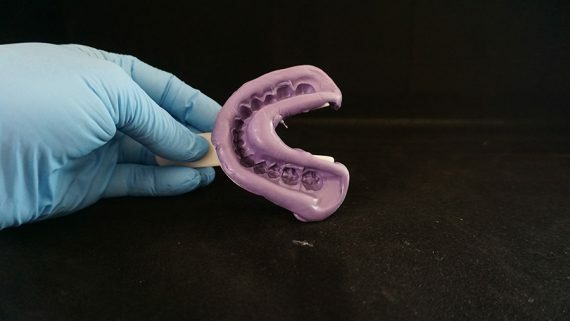 Please read all illustrated instructions and watch the video prior to taking your teeth impression. 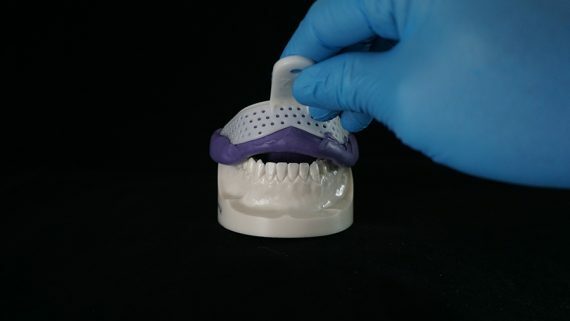 You must mix the putty, spread the putty in the tray, and have the tray inserted into your mouth in less than 2 minutes or the putty will harden not allowing for accurate impressions. 1. 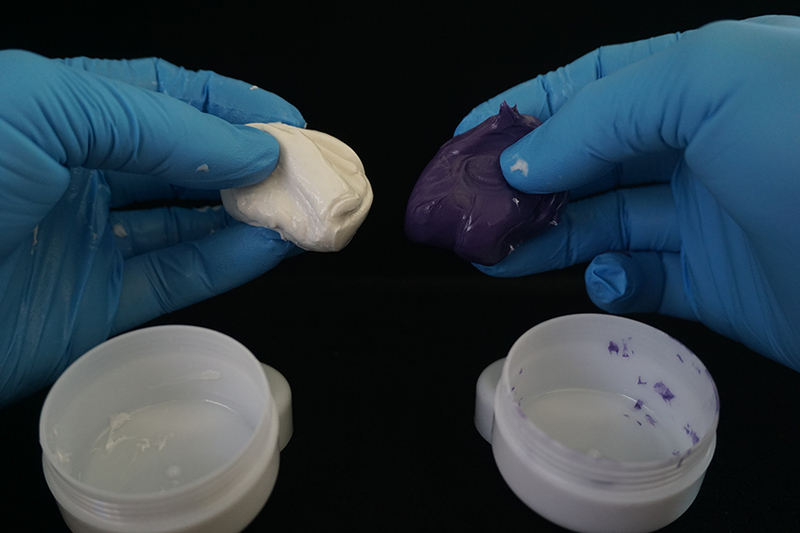 Take 1 purple putty and 1 white putty from the supplied container. 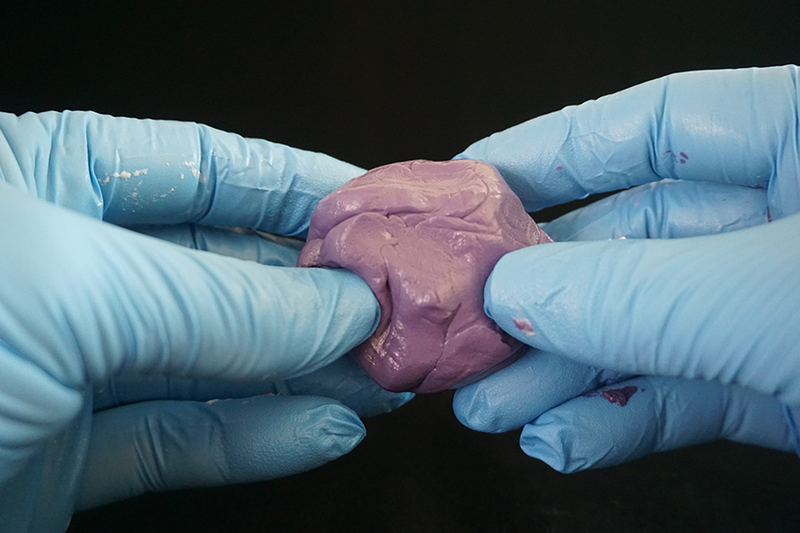 The putty should not be warmer than room temperature, so be sure it is not before mixing. 2. 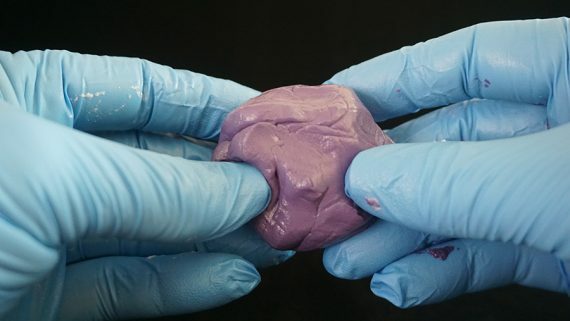 Mix the 1 purple putty and the 1 white putty together with your fingers until it becomes a solid purple. This should be completed in no more than 40 seconds. 3. 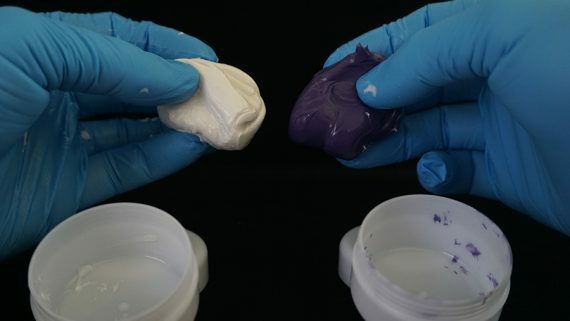 When the putty becomes a solid purple with no more white streaks, then stop mixing. 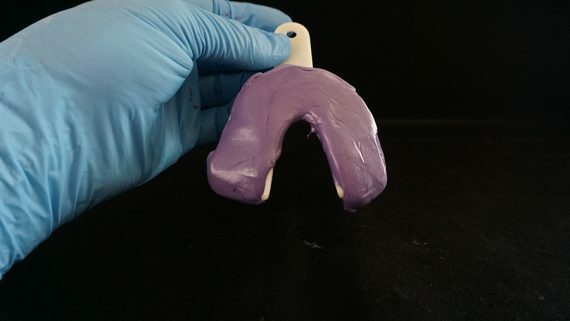 Do not continue to mix once it is a solid purple or the putty will harden too fast. 4. 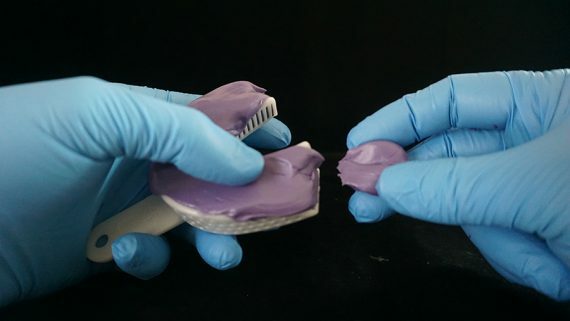 Roll the putty into a log shape and fill the tray with the putty. 5. Spread the putty evenly throughout the tray by using your thumbs. 6. 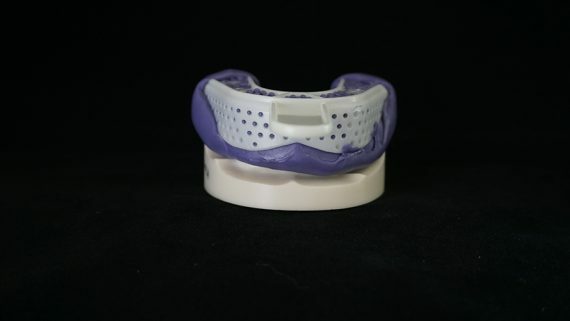 When using the small lower tray, the excess putty that extends past the tray can be pinched off as shown. 7. 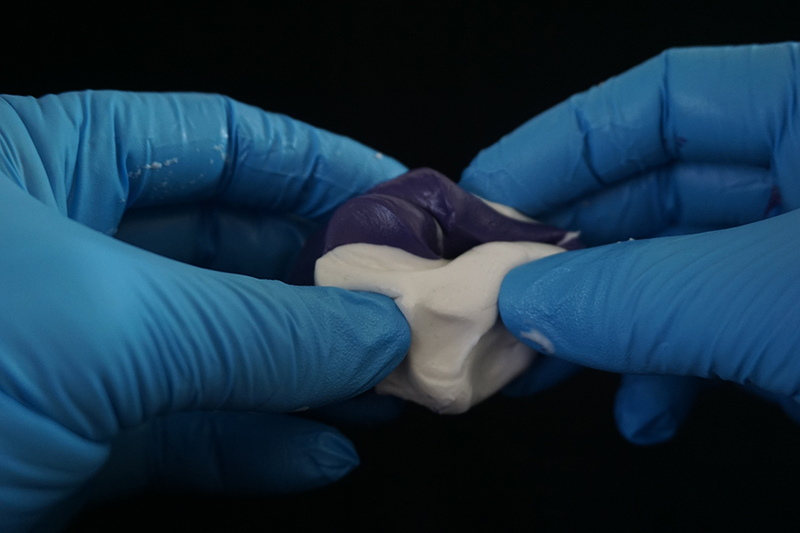 The putty should fill the entire tray from edge to edge. 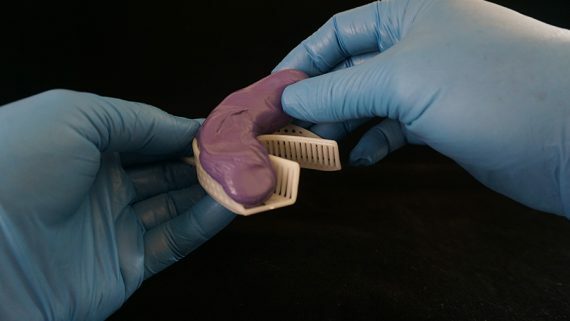 Insert the tray and putty over your lower and center it. 8. Use both index fingers to evenly push the tray straight down over your teeth and gums until your teeth almost hit the bottom of the tray. 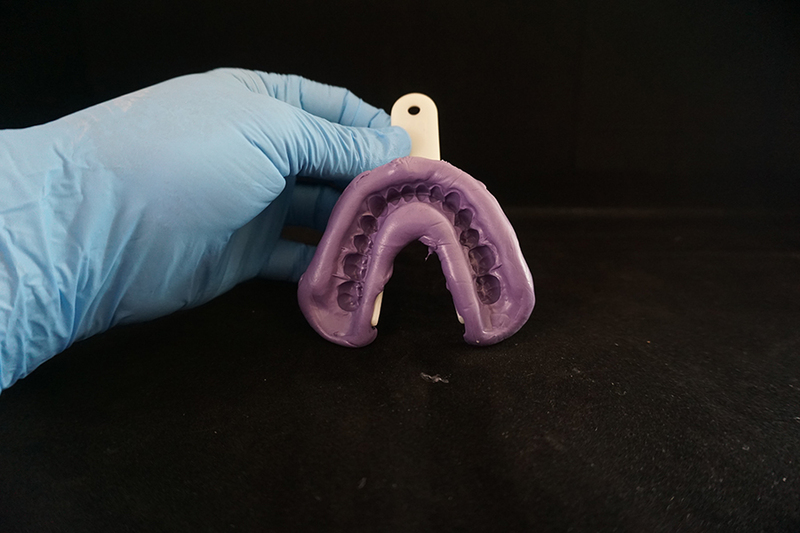 The most common mistake is that the teeth are not deep enough in the putty. 8. 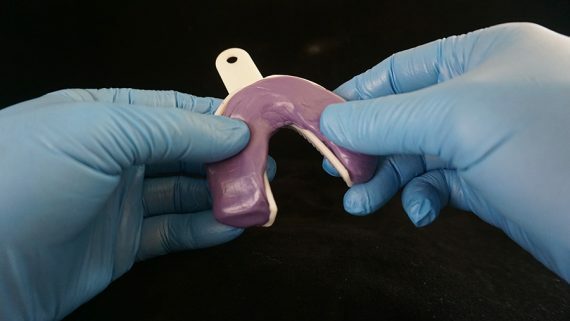 Keep the impression tray and putty over your teeth for 5 full minutes so that the putty can fully harden. 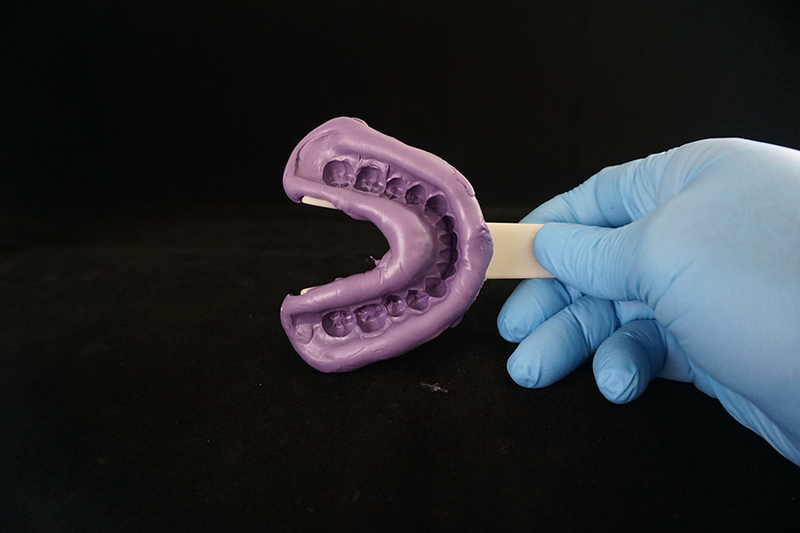 If you remove the tray before the full 5 minutes, the impression will be distorted and your completed teeth device will not fit properly. 10. After the full 5 minutes is up, pull the tray up off of your teeth using the plastic stem. 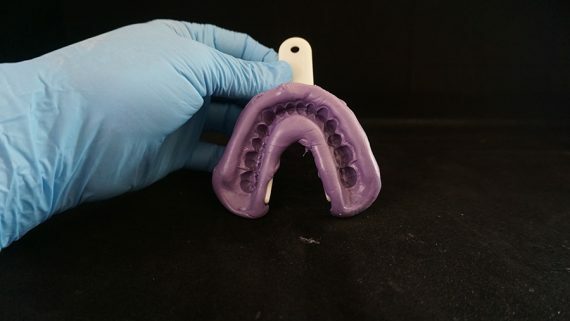 This is what an accurate lower impression should look like. Notice how the teeth are centered and not too close to the edges of the tray. 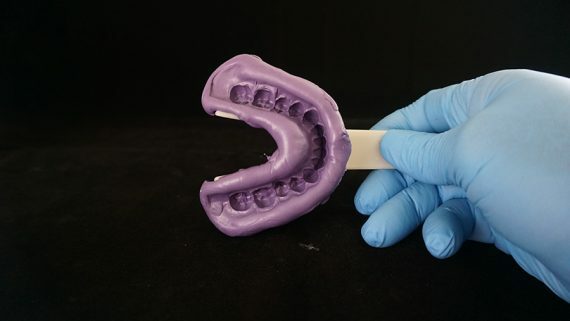 Notice how the teeth are deep in the putty and almost touching the bottom of the tray. 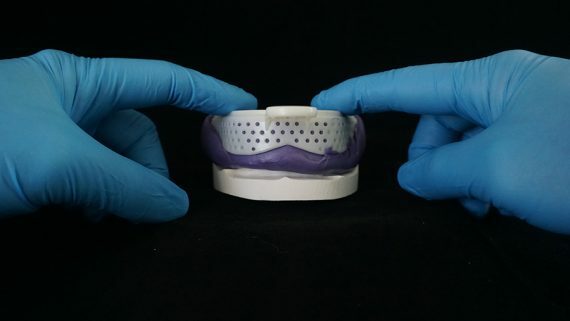 Notice how the putty is pushed up to include your gums when your teeth almost hit the bottom of the tray.